Worth Sir Knights, I am pleased to announce we have a new Sirknight Thomas Lyons. Please help support him. November is mostly celebrated with Thanksgiving a time for family . Please remember are Lord and give thanks for all his Blessings. At our business meeting we discussed how we are going to move forward with help our Troops over seas and our Veterans. Also we set our next meeting for January 3,2019. We will be planning for the March for life and Fund raisers. 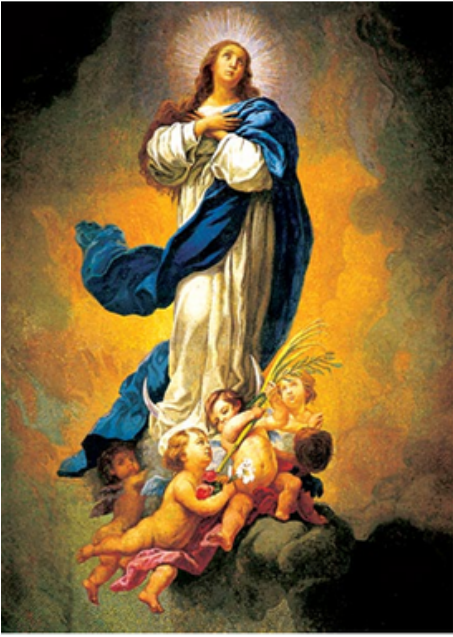 This prayer is addressed to the Holy Trinity through the intercession of Mary, the Mother of Jesus, under her title of the Immaculate Conception. Individuals, families, councils and parishes are all invited to Pray for our country.